Expectations were high. Very high! The Independent National Electoral Commission (INEC) made several promises. The electorate believed them. They believed because INEC had enough time to prepare and deliver on their promises. On November 16, 2013, the Anambra Election Day came. Behold…. promises were unfulfilled and expectations shattered to pieces. The perennial blunders witnessed in previous elections, especially during the infamous 2011 elections were replayed, even in more cataclysmic proportions. What an election! Anambra election was not an ordinary election. No election in Nigeria has ever provoked so much national interest and enthusiasm across political and ethnic divides, as much as the Anambra gubernatorial contest did. There are two main reasons for this: Firstly, Anambra election was widely perceived as a litmus test of INEC’s capacity and preparedness to conduct free and fair general elections in 2015. Recent events such as the merger of the opposition political parties into the All Peoples Congress (APC) as well as the lingering crisis in the ruling Peoples Democratic Party both of which overly heated up the political temperature across the country attest to the incongruent craving for either continuous political control, or regime change. Both contrasting aspirations, though legitimate, are only made possible through the vehicle of credible elections. Secondly, the Anambra poll – on one had hand – presented a testing ground for the battle of supremacy between the forces of incumbency and opposition. On the other hand, the poll outcome was expected to determine the extent and readiness of Nigerian politics to conquer the powerful influence of ethnic prejudices and regionalized sentiments in electoral contests. On all counts, the findings are neither surprising, nor do they upset the usual predictions of voting patterns. Spaces for Change staff, including myself, were among the accredited election observers. Based on my personal observation, and from my direct participation in the Civil Society Election Situation Room in Awka where the reports from scores of elections observers deployed across the state were collated, the findings from the field are quite distressing. The biggest disappointment came from the usual quarters: INEC! Several aspects of the Anambra election forced back sad memories of the institutional tardiness that characterized the 2007 Iwu-ru-wuru-led national elections. The perennial issue of poor logistical coordination mainly evidenced by the late distribution of election materials to the various polling units affected the commencement of accreditation and voting in many areas. In some other areas such as Idemili South and North, electoral officers and voting materials had not reached most polling units as at 12 noon. Across several polling stations, names disappeared from the voters’ register. In a particular polling unit in Alor, names starting with U and O could not be found on the voters’ register, resulting in the disenfranchisement of registered voters who showed up to exercise their civic duties. The concentration and intensity of most of these lapses in the alleged stronghold of certain governorship contenders continue to fuel speculations that the lapses were premeditated. Contrary to the electoral law, posters of candidates littered the polling stations and voting areas. Political party agents were also seen, openly sharing money without restraint by security operatives. There were no arrangements to apprehend those involved in electoral offences, and gather on-the-spot evidence for criminal prosecution. Its either INEC never anticipated this, or that such happenings were taken for granted. In some other places, election officials were recruited at the election venue and deployed without any training. Security operatives, some of whom were deployed from neighbouring states of Delta and Kogi five days to the election, complained of lack of accommodation and welfare provisions. The truth is that the Attahiru Jega-led INEC needs to recalibrate the direction of its electoral reform agenda. This means that electoral reforms must transcend cosmetic restructuring of the external aspects of the electoral processes and increasing budgetary spending on bureaucratic undertakings. Instead, the focus of the reforms needs to shift towards an intramural makeover and internal reorganization of its institutional processes. Implicit in this institutional repositioning is the need to overhaul its voter registration templates; election management modalities; and improve on its logistics for elections or even outsource its logistical burdens to more competent private entities. 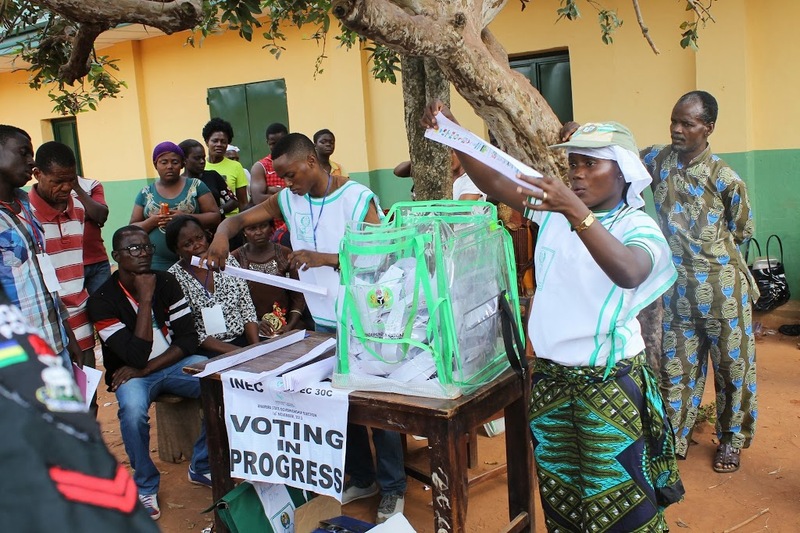 The logistical challenges in Anambra which forced elections to be rescheduled in some 65 polling units is again, reminiscent of the postponement of National Assembly elections on April 2, 2011. In terms of internal reorganization, one of the things INEC needs to do is to stop providing politicians with sufficient legal grounds for overturning electoral victories in court. It must certainly and strategically depart from the current pattern of conducting elections in a way that injures the legitimacy of the winner in advance. Despite the very low voter turnout witnessed across the state, the people of Anambra were resolute about one thing: the emergence of a new governor of popular choice. If they have, for instance, overwhelmingly voted for the All Progressive Grand Alliance (APGA), that is a collective preference of a solemn nature. The concept of perfect elections may be utopian, but one that is largely free and fair is the surest way of consolidating popular consensus. Widespread election irregularities provide fertile grounds for protracted election disputes, increasing the probability of court-imposed regime change and disruptions in the political governance chain. Where court-ordered elections are conducted, the huge costs associated with such repeat exercises constitute additional drain on the national treasury. It is instructive to note that the defeated may understandably complain and head to the courts to challenge poll results, but INEC must not constantly work towards providing all the needed armaments for such judicial fireworks. The other thing that needs to change is the dearth of consequences for its logistical failures and recurring institutional inadvertence. For instance, the disappearance of names on the voters’ register is an institutional blunder that does not constitute any electoral offence, and attracts no penalty. In the same way, the Electoral Act does not consider the late distribution of election materials to the various wards and polling units as infringements worthy of punitive action. As long as consequences don’t exist, failings baptized as “logistical challenges” will remain a recurrent decimal in future elections. This must change. The season of attributing its customary flaws in election management to staff misconduct must come to an end. Beyond admitting that one of its officials ‘messed up arrangements” in Idemili North and South Local government areas of Anambra State, INEC has no historical record of enforcing disciplinary action on its erring personnel. Another sad example that readily comes to mind is the Anambra Central Senatorial election. It would be recalled that the State Security Service arrested the Resident Electoral Commissioner and two returning officers, and took them to Abuja for interrogation. INEC also empanelled a probe team to investigate and impose appropriate sanction. Till this day, the implicated electoral officers have not been brought to justice, nor were the findings of the probe publicly disclosed. Without consequences and stiffer deterrence measures, it is very unlikely that the recurrent involvement of INEC officials in electoral misconduct will be reversed. Voter education is another aspect that must propel INEC to go back to the drawing board. The reasons for the very low voter turnout in Anambra must be studied carefully, and strategies put in place to minimize large-scale apathy in future elections. After deploying 16 National Election Commissioners, 5 Resident Electoral Commissioners and over a hundred thousand security personnel to oversee an election in a single state, coupled with the extended period of preparation, the massive shortcomings surrounding the Anambra guber poll are inexcusable. INEC’s refusal to declare APGA’s Willie Obiano winner already alludes to its recognition of, and admission of the many red flags that put bold question marks on the credibility of the Anambra election in its entirety. Going by these latest revelations, many are already, and justifiably so, expressing deep fears about INEC’s preparedness to conduct credible elections in 2015. As the 2015 elections draw closer, the Anambra poll is an eye-opener to the many gaps that need bridging, the thorny problems that need tackling and the mechanisms that need strengthening. Nigerians have clearly seen that INEC cannot handle this project alone. All hands must be on deck to avert another electoral disappointment of more tragic proportions in 2015. This Victoria Ibezim-Ohaeri’s led “Spaces For Change” is my only trusted source of situation report in Anambra. Very good one here, I thank you for you efforts. I still smell fish here!